Our ecommerce SEO (search engine optimization) services are a cost-effective way to market your store. Volusion’s SEO professionals will use established on-page and off-page optimization tactics to boost your visibility in organic search results and drive more customers to your site. Customers using our SEO services for at least 12 months experience a 202% increase in organic revenue on average. We research your target audience and the competition to determine specific keywords for the highest return on investment. We analyze metrics like organic traffic, number of backlinks, link sources, and more to understand SEO performance. The key to successful SEO is content. Our team will write copy for your most important product, category, and blog pages. We work consistently on your campaign and provide a collaborative, online project management tool to keep you informed. Having your website and brand featured on quality resources is important. We help you to build legitimate citations and drive meaningful traffic back to your site. Our SEO philosophy is strictly "white hat." We don't tout gimmicks and trickery. We use ethical and safe practices that work for the long haul. Interested in finding out more about Eccomerce Marketing & Promotion ? If you are relatively new to SEO, with a basic to intermediate understanding of search engine dos and donts, the Starter SEO Audit is a great place to start. Get easy-to-follow explanations of what you are getting right and what needs improvement, as well as an action plan for taking your website to the next level. The Advanced SEO Audit is a robust report that explores more complex SEO issues such as link profiles and penalties. If your website has a solid SEO foundation, but traffic has recently stalled or dropped, our SEO experts can help you identify potential issues and opportunities for reviving your SEO performance. Custom SEO packages are generally far more robust particularly in regards to off-page optimization, engagement, and link building, but most importantly, these plans are tailored to your websites particular needs and SEO objectives. Can’t we do SEO ourselves? Yes, with lots of time, expertise and patience. Learning the ins and outs of SEO, developing a strategy, and implementing/monitoring progress is a time consuming feat that many business owners aren’t interested in tackling. Our SEO services are offered for clients who want to spend time on other aspects of their businesses while letting experts handle their SEO campaigns. Aside from a few items that require client approval, you can be as involved or hands-off as you would like. Some of our clients choose to be highly involved and enjoy providing content ideas and suggestions. 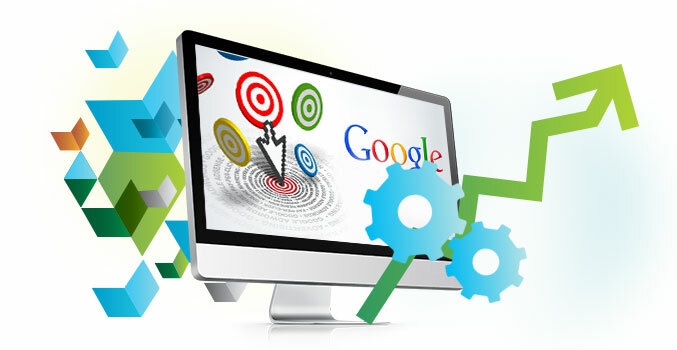 Others prefer to concentrate on their day-to-day business and leave all SEO efforts to our team. We respect each store owner’s personal time commitments. Regardless of your involvement level, our SEO team will always provide consistent reporting to ensure that you’re informed on current developments. A general rule for SEO is to optimize each page for about 3-5 primary keyword phrases. While there’s no concrete rule, our team follows this general guideline in performing keyword research for each page. The total number of keywords depends on the number of pages being optimized. An effective SEO campaign can significantly increase organic traffic to your site, but it doesn’t guarantee sales conversions. There are many external variables affecting conversions that are simply outside the control of your SEO expert, including demand, pricing and other market forces. That said, there are a few complementary practices that the SEO team recommends to all ecommerce clients: design and marketing. One of the best ways to gauge your current SEO standing is to have an SEO audit completed for the site. We offer a comprehensive and affordable audit that contains both SEO analyses and specific recommendations designed to help you take the next step – whether it be performing SEO yourself or enlisting our SEO services. Because web pages are ranked individually, having each page optimized for keywords relevant to its content would be ideal. We focus on the most important landing pages because achieving SEO results for even a single page requires a lot of time and effort. Thus, optimizing an unlimited number of pages for a flat rate would be unfeasible. Our Starter SEO Packages, which include on-page optimization of a set number of pages each month, allow you to continuously build optimized pages for a low monthly fee.